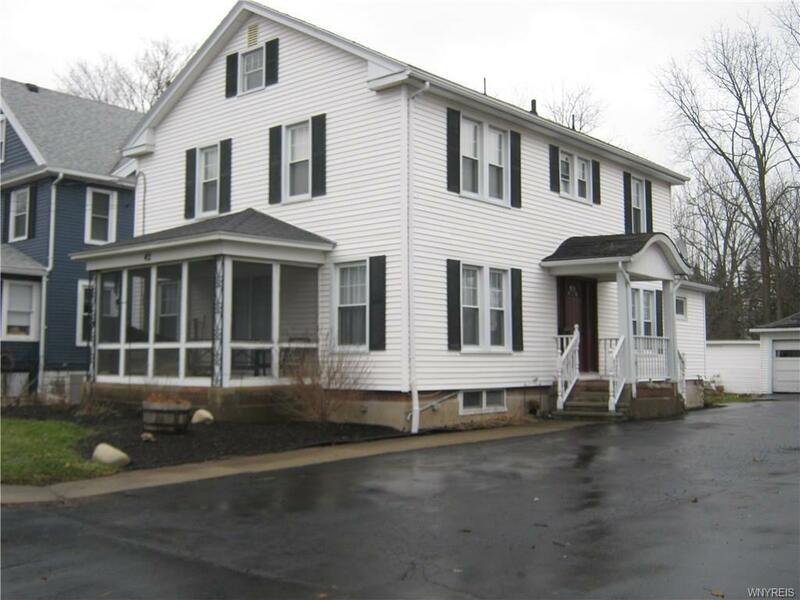 Great city location for this 3 bedroom, 2 full bath colonial ! Interior features new kitchen (2017) , cabinets to ceiling and crown trim. tile floor, island and counters with quartz counter, S/S appliances. Large entry foyer with natural woodwork and custom tile floor. First floor bath/laundry remodeled (2016).Spacious Living room and Dining room with built in bookcases and wood burning fireplace. French doors, mudroom, second floor sun room. Enclosed front porch. Vinyl sided exterior, front enclosed porch and open side porch. Two car detached garage and partially fenced rear yard. Central air! Must see ! !